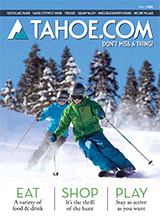 Thran's Flowers is a specialty florist providing arrangements for Tahoe events since 1982. The designers and artists can help make your wedding as special and unique as possible, no matter what the size. The best way to begin is to make an appointment several weeks in advance to look through the portfolio of work. Additional services include transferring the flowers from the ceremony site to the reception site, pinning flowers on the wedding party and providing flowers for the cake.